Anastasiia Kurilko was born in 1993 in Krasnoyarsk, Russia. She started her piano lessons when she was 6 years old. In 2008 she continued her studies at the Krasnoyarsk College of Art named after P.I. IvanovRadkevich which graduated in 2012. The same year, Anastasiia moved to the Netherlands and studied a classical piano at the Royal Conservatory in the Hague, with professor Naum Grubert. In 2018 she graduated as a MasterClassical piano with excellence. 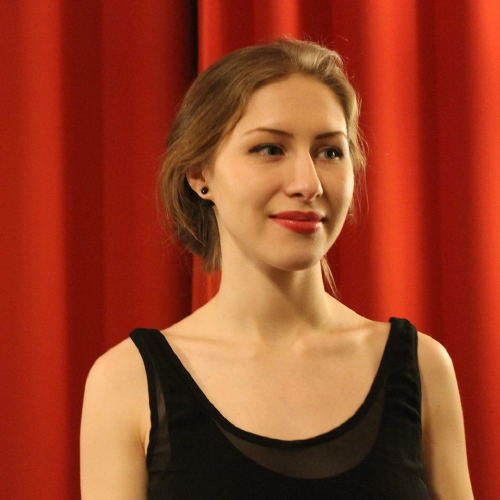 Anastasiia has successfully manifested herself in competitions of different levels, with prizes in the following categories: solo piano, piano duet, accompaniment and chamber ensemble. In 2010 she was awarded for the best performance of Chopin’s works on the International Chopin Competition in Tomsk, Russia. The same year she also won the first prize at the International classical music competition in Krasnoyarsk, Russia. As a soloist, she has performed in Europe, including Hungary, Bulgaria and the Netherlands. In 2015 she has given many concerts with the famous New European Ensemble in various cities in the Netherlands. Anastasiia Kurilko plays in the ‘Eden Piano trio’ and the trio with Maria and Anuschka Pedano and from 2018 she works at the Royal Conservatory of the Hague.